Annie’s Quilting Den is participating in the Northcott Stonehenge Block Party. This event includes quilt shops from around the world. 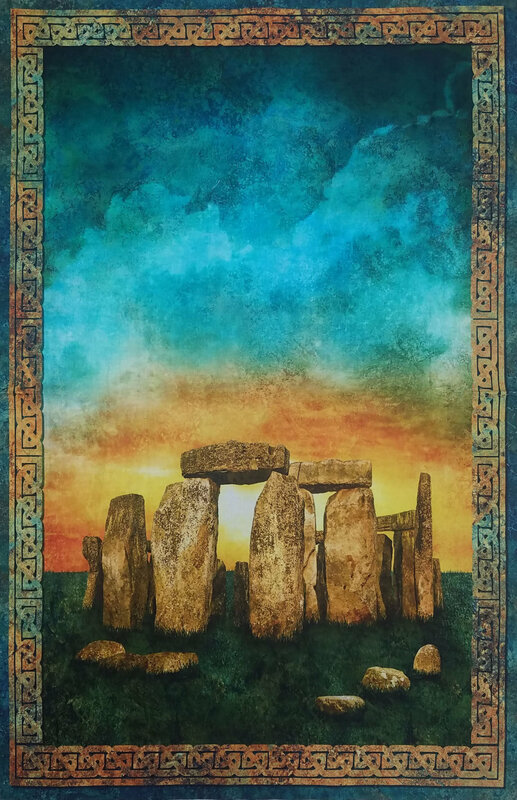 Stop by and get the unique block pattern that Annie’s has created using fabrics from the Stonehenge Solstice collection. The Stonehenge Block Party includes unique blocks created by participating quilt shops around the world. Each shops has designed a unique block pattern made from Stonehenge Solstice collection fabrics. You can get the kit for our our block at our store. $1000 USD and a Stonehenge fabric prize pack retail valued at $250. $500 USD and a Stonehenge fabric prize pack retail valued at $100 . All the fabrics that you need are available at Annie’s. Here are some of the fabrics in the collection. Visit participating shops to buy and collect as many unique blocks as you like. To enter the competition, you must design and make a quilt using at least 12 of the blocks that you collected from participating shops. Your quilts must be made of 100% Stonehenge fabrics from the Solstice Anniversary collection with the option of including the Gradations Oxidized Copper palette and the Robin’s Egg green SKU 39300-79. The quilt backing can be any fabric of your choice. The Northcott judges will select 10 finalists and have you send in your quilts for a final round of judging. They will choose a 1st, 2nd and 3rd place winner! The deadline to submit your quilt design via Northcott’s online submissions page is December 31st, 2019. As part of your submission, we ask that you include a short description about the blocks you used and list the shops they were purchased from. The link to the submission page will be available here when the contest begins in March. We are also having a stonehenge quilt challenge at our shop. Here is what we are asking you to do. Make a quilt using the Solstice Panel in a creative way to make a quilt that is no larger than 60” x 60”. It can include other fabrics rom the Solstice Collection. The winner will be awarded a Stonehenge Prize pack. The Challenge deadline is November 30, 2019. You must drop off your quilt at Annie’s by that date. We will announce the winner on or before December 9, 2019. We will also send a picture of the winning quilt to Northcott to display on the web. Northcott will award additional Stonehenge fabric prizes to the top ten winners of the shop challenge contests.